Don't worry, BlackBerry fans: Your favorite smartphone with that keyboard you love is sticking around for the time being. But that's not what BlackBerry is about anymore. "Everything we're doing is to bring solutions for our enterprise customers," said John Sims, one of BlackBerry's chief lieutenants, at the wireless industry's trade show in Las Vegas this week. 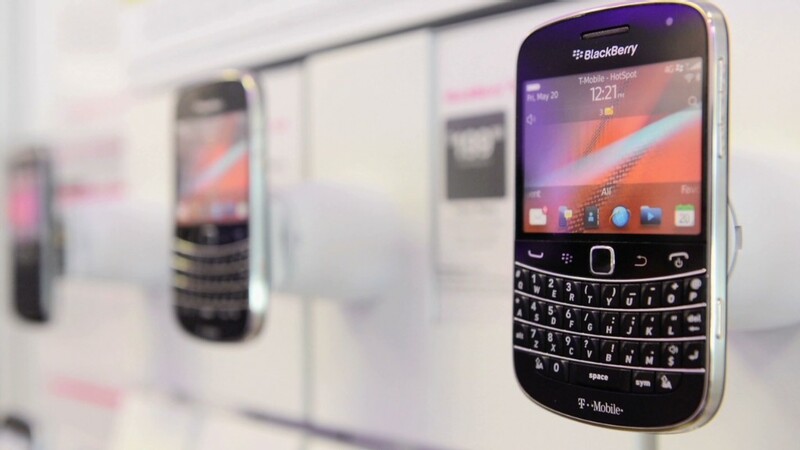 Sims, who heads up BlackBerry's business and government division, said BlackBerry (BBRY) believes it can still make money in the device business from its niche of loyal users -- the ones "that are still holding together, with bubble gum or tape or whatever, their BlackBerry Bolds. Its focus, however, will be providing software and services to business customers, particularly those in heavily regulated sectors like finance and insurance that demand top-notch security. That means trying to capitalize on the company's reputation for security with products like BES12, a software platform for businesses due to launch in November that allows companies to manage mobile devices whether those devices are running Apple's iOS, Google's Android or BlackBerry's own software. There's also BBM Protected, the new high-security version of the company's messaging service, as well as BBM Meetings, for voice- and videoconferencing. And BlackBerry this week announced a purchase of a company called Movirtu, which allows people to have business and personal phone numbers on the same device with separate billing. It works on Android, iOS and, yes, BlackBerry devices. The strategy is working: The newly slimmed BlackBerry turned heads in June when it announced a profit for its fiscal first quarter. Shares are up nearly 40% this year, and CEO John Chen has pledged that the company will return to profitability on a full-year basis by 2016. There's a still a long way to go in the turnaround effort, and in the meantime, the company faces challenges from competitors like Apple (AAPL) and IBM (IBM), which announced a partnership in July to sell iPhones and iPads with specialized business software. But BlackBerry has come a long way in a matter of months. When Sims started at BlackBerry in January, the company was flailing. "It's a little like when you walk down the stairs and you stumble," he said. "You have to grab the handrail, and we had to figure out what our handrail was." "Stumble" is putting it lightly. The company was hemorrhaging money, losing a stunning $4.4 billion in the quarter ended in November. It had recently announced plans to slash 4,500 jobs, or 40% of its global work force. The company, he acknowledged, had unsuccessfully expanded its focus in previous years with a variety of new devices geared to consumers as well as professional users. "One thing that was clear to me when I arrived was that the company was completely device-centric," he said. Sims said that when he started holding outside meetings earlier this year, "the first question customers asked was 'Are you guys going to be around in a couple of years?'" Sims said that those concerns have eased as BlackBerry's turnaround plans have come into focus, but the company's future is still far from certain. "The task to transform BlackBerry back to where it rightfully belongs in the industry is a significant challenge," Sims said.